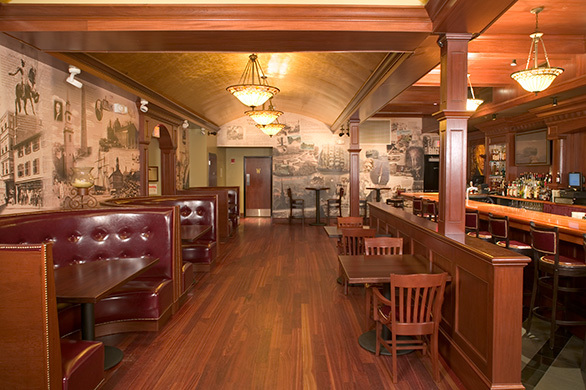 The Greatest Bar's "Boston Room" was designed to showcase the rich history of the city. Wall murals were created celebrating the city's greatest triumphs and tragedies, its rich neighborhoods and forgotten history. Working alongside rich wood, leather and brass, the collage of authentic photography and historical lore completed the space, serving as a highlight to the Greatest Bar experience.